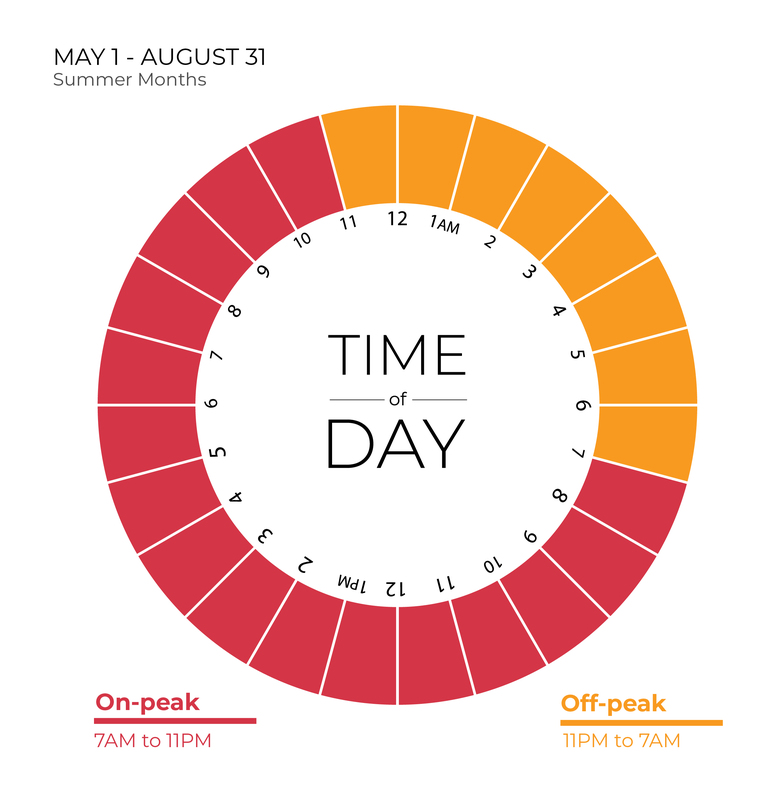 The time-of-day rate, also known as time-of-use or TOU, is a relatively simple concept: Rates are lower when demand for electricity is low, but costs increase when demand is high. $0.076 per kWh for the first 1,000 kWh. After the first 1,000 kWh the rate goes down to just $0.062 per kWh. Member-owners who have installed electric storage heating equipment (ETS units), licensed electric vehicle(s), or battery storage unit(s) approved by San Isabel Electric can apply for the special rate by calling San Isabel Electric. 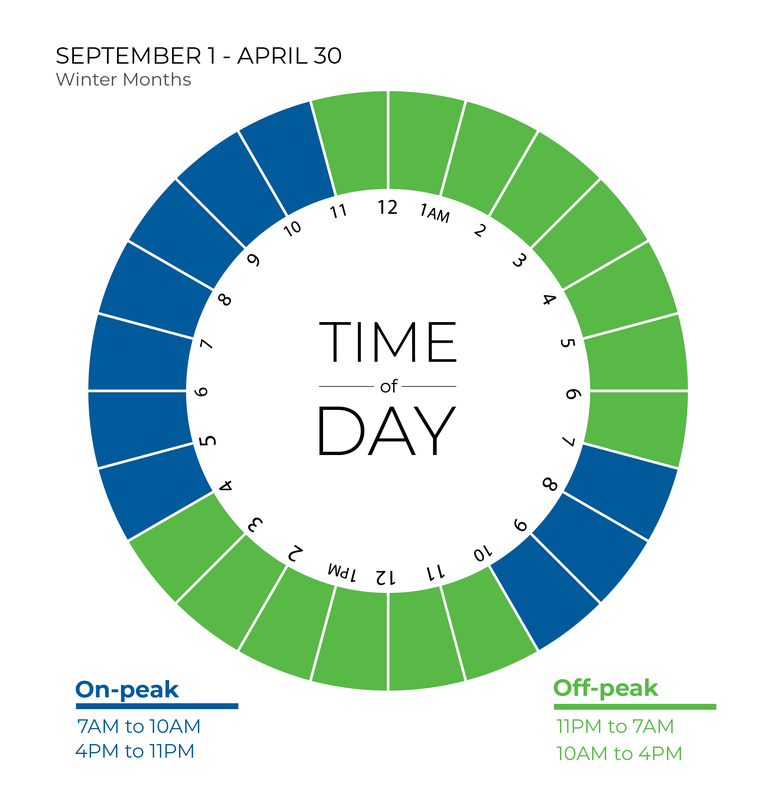 There is an additional $10/month access charge, year-round, for member-owners on time-of-day rates. Residential member-owners who choose to charge their electric vehicles at home, during off-peak hours can pay as little as the equivalent of $0.59 per gallon of gasoline, depending on the amount of electricity used during the billing cycle. Member-owners choosing to charge their electric vehicle during on-peak hours pay the average equivalent of $1.43 per gallon of gas, still considerably less than the going price per gallon of gasoline. Some charging stations allow a plugged-in car to delay charging until a programmed time, to ensure charging only occurs during off-peak times, when it’s most cost effective and still convenient. Equivalent cost per gallon of gasoline equations were based on the US. Department of Energy’s formula, available at https://www.energy.gov/downloads/egallon-methodology.